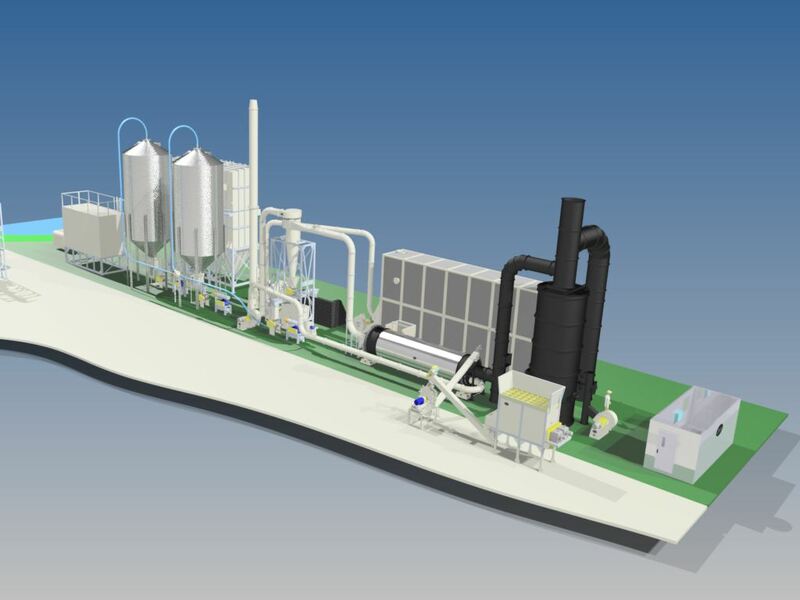 Our Rotary Dryer Systems feature our top pollution control (TPC) option. These rotary dryers boast an emission rate of less than one pound per hour of each category - VOCs, PM, PM10, PM2.5, an opacity of less than 5%, and odor control. 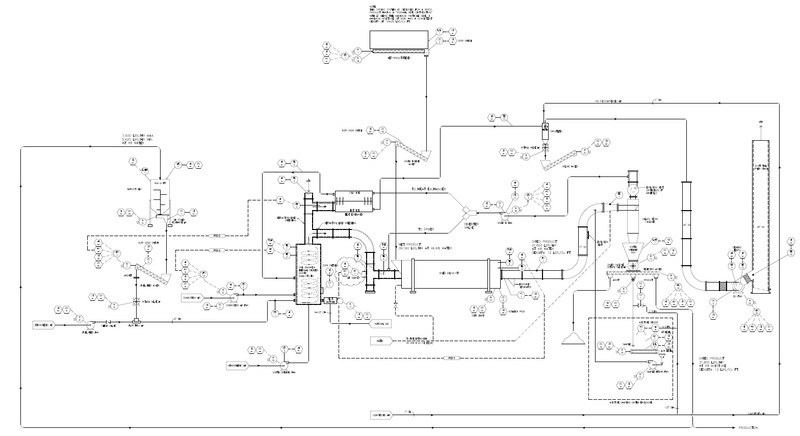 Our Rotary Dryer Systems feature our total pollution control (TPC) package. These rotary dryers boast an emission rate of less than one pound per hour of each category (VOCs, PM, PM10, PM2.5), an opacity of less than 5% and odor control. This unique rotary dryer technology takes the dryer spent gas and recycles a portion to the dryer, thereby limiting the amount of spent dryer gas required to be routed for thermal oxidation and pollution control. The remaining gas is routed to a thermal oxidizer for the destruction of organic particulate and VOCs. Dryer opacity is estimated to be 0%-5%. TCP dryer technology also removes the dryer inlet temperature restrictions since the dryer spent gas is oxidized. This allows the dryer to pick up an additional 10-35% production, depending on current dryer inlet temperature. The may allow a client to utilize a smaller dryer since inlet temperatures of up to 1,200 F are not uncommon. This may offset the capital cost increase of TCP drying technology vs traditional rotary dryer technology. Additionally, the dryer recycle loop means that there is far more water and less air in the dyer drum during drying. This reheated water vapor drives out the oxygen of the dryer gas. 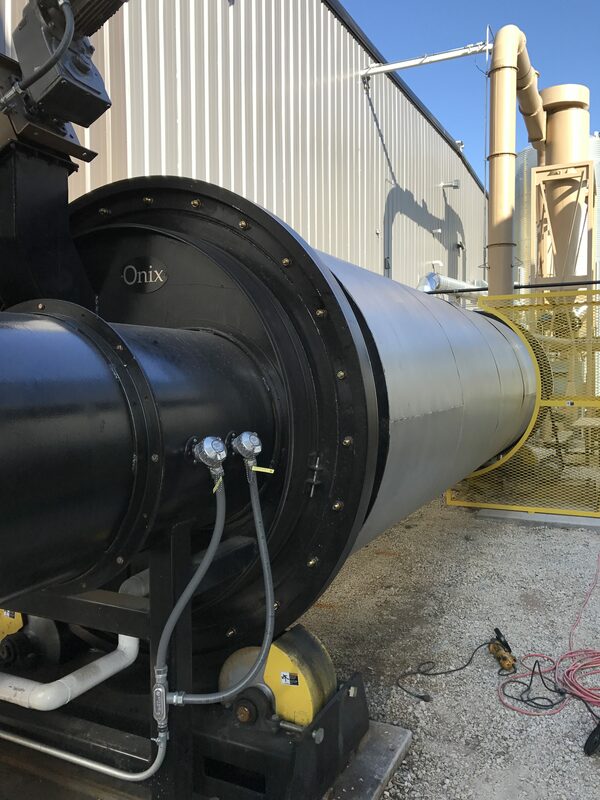 This superheated water vapor can dry products that would normally burn in a traditional rotary dryer and allows for higher dryer inlet temperatures. Extremely low PM, PM10 and PM2.5. Particulates are routed to a bag filter. Ideal for Title V facilities.